Unsure of your bracket fixing – phone us on 01258 453374. We tailor make all brackets to fit your situation. 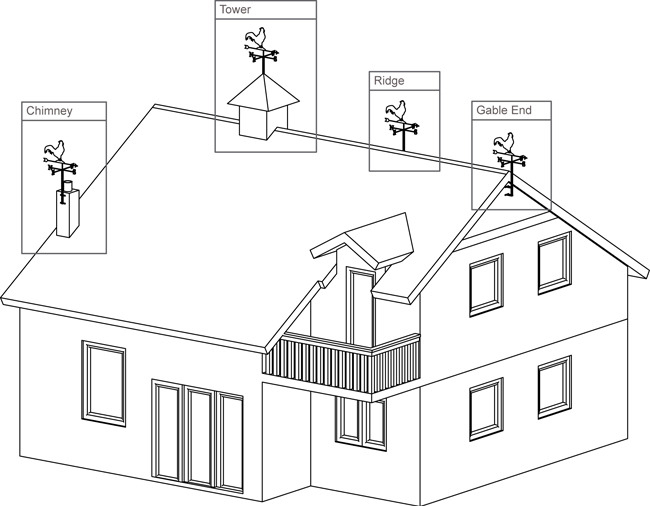 Below are our most popular bracket - Gable End, Ridge, Chimney, and Tower. 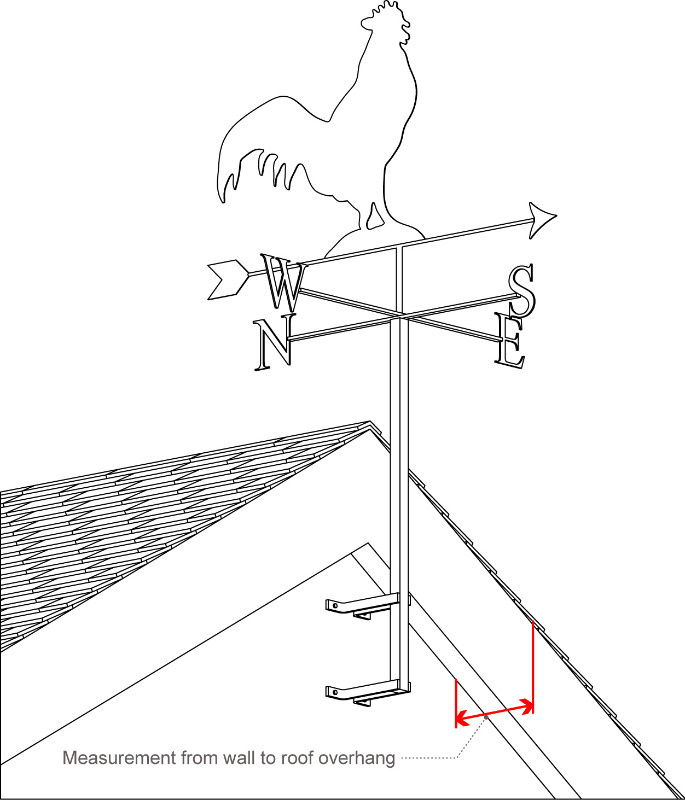 When choosing where to site your weathervane think about where you want to see it from, and the backdrop. We think a clear view of the sky behind produces the best effect for the silhouette. The Gabel End is our most popular bracket, used to situate the weathervane at the end of the house, just below the apex of the roof. The bracket is fixed directly to the end wall of the house, and protrudes up above the roofline. For this bracket we require a measurement, as shown below, from the end wall of your house to the edge of the roof overhang. Fill this dimension in the "Bracket Size" field during ordering. We also offer Rawl Bolts for use with this bracket. These are for use on masonry construction, and connect through the legs of the bracket to the end wall of your house. This bracket is recommended for people who have access to the roof from inside (loft space) and outside. The bracket penetrates the ridge line and waterproofs with a lead flashing (supplied). If you are in the process of building a home this bracket could be the best option for you. Contact us for more information. You can attach your weathervane to any masonry chimney stack. This bracket attaches directly to the side, and places the weathervane above the chimney pots. If you have a turret, tower, or cupola you can mount the weathervane directly to the top. This option generally requires access to the underside of the tower. As each tower is different we suggest you contact us for further information.